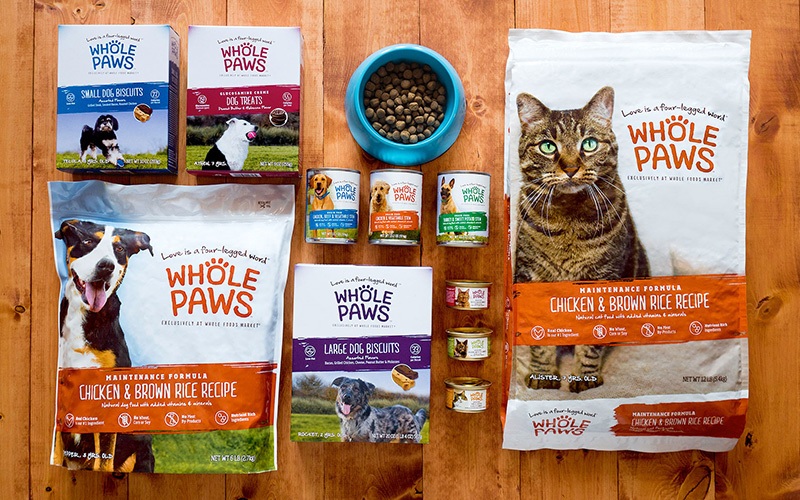 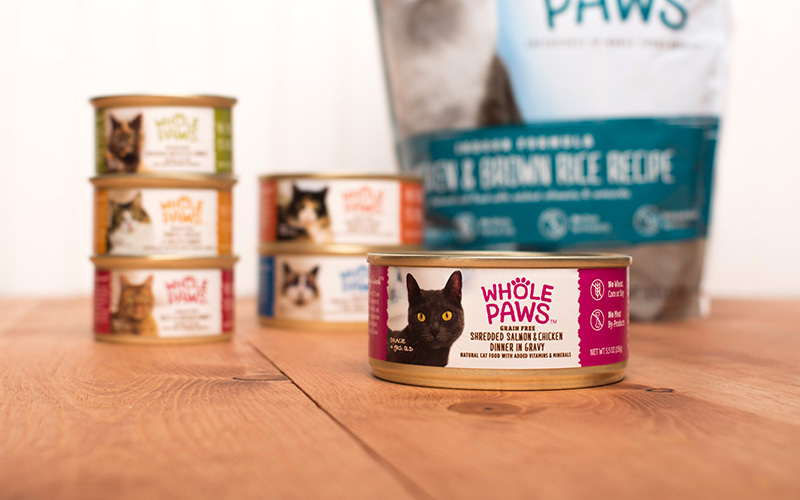 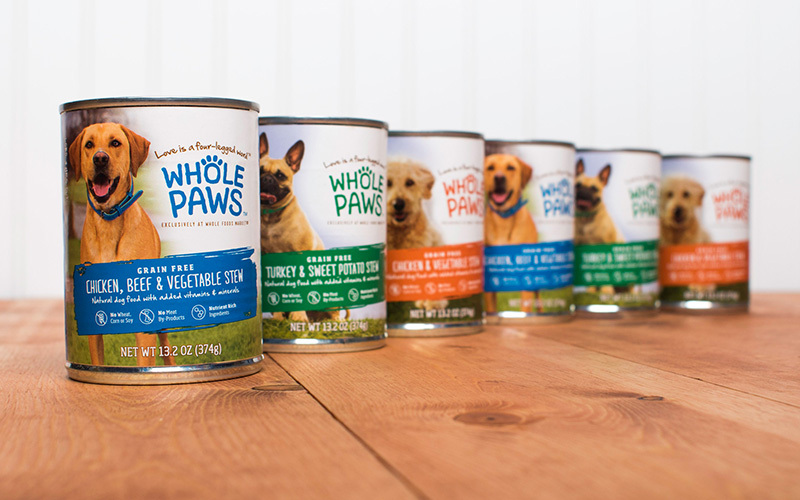 Whole Foods Market was looking to develop a new line of premium pet food products made with natural, protein-rich ingredients. 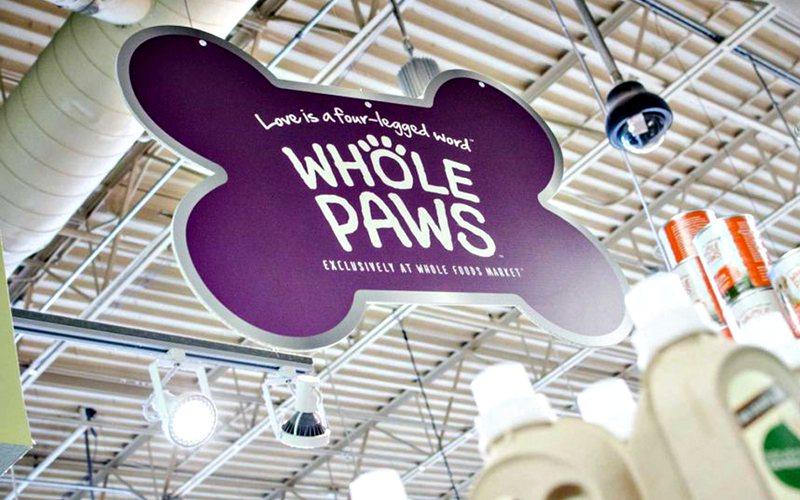 We developed the tagline, identity, packaging system and in-store marketing materials that launched the brand. 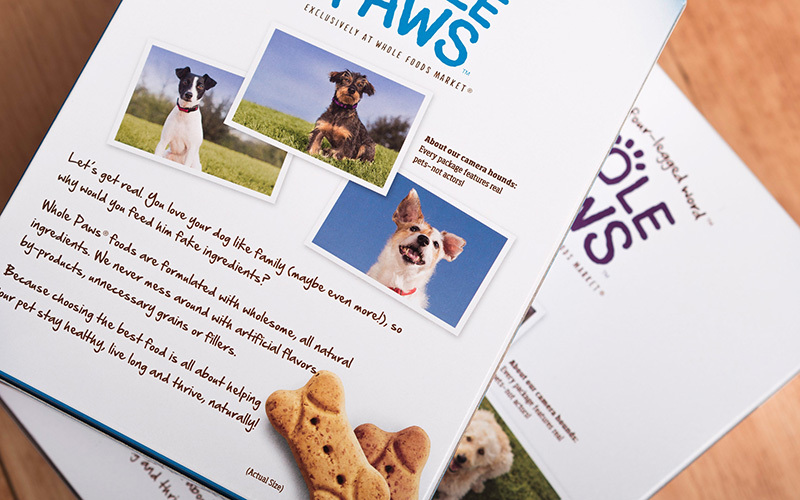 Our concept was to make real pets the hero—not those bred as show dogs or feline models but actual pets. 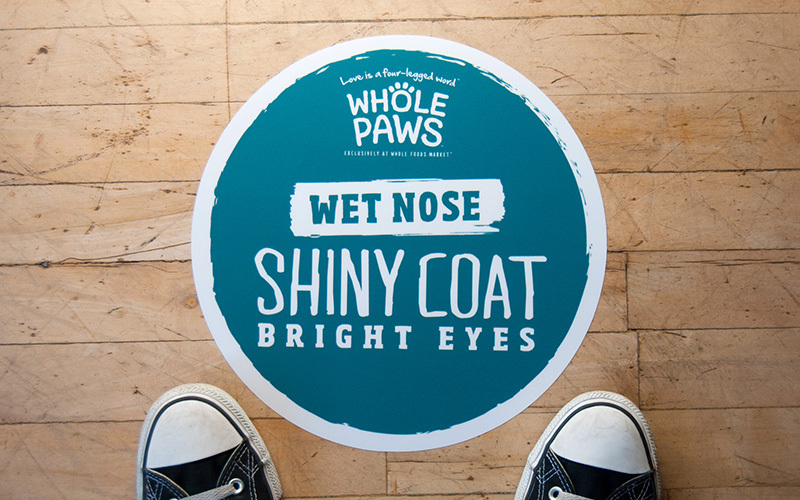 In the end, we tapped Whole Foods Market's employees and found a large cast of beautiful “spokespets” that represented “everyperson's” pet handsomely. 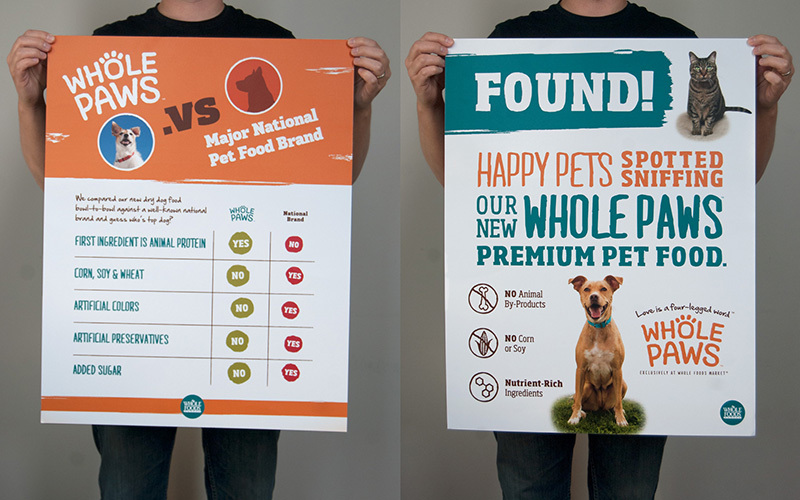 The simple packaging system used large type, color and unique pet photographs to distinguish the various products. 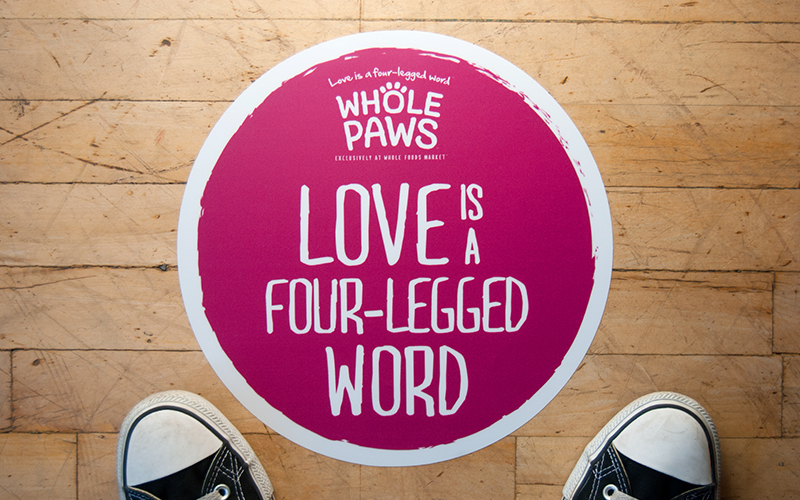 The evocative in-store marketing materials grabbed at consumer heartstrings and featured the tagline "Love is a four-legged word.™"
We can now add cat wrangling to our resumé. 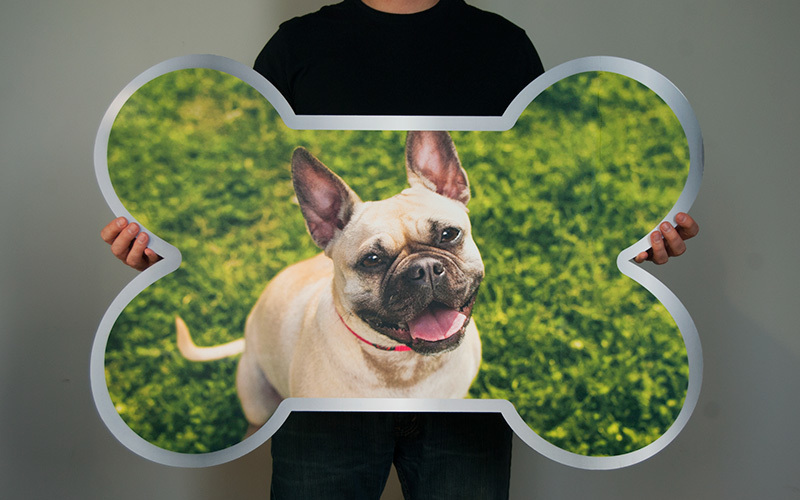 We art directed the photography, expertly coaxing the pets into giving us their best poses. 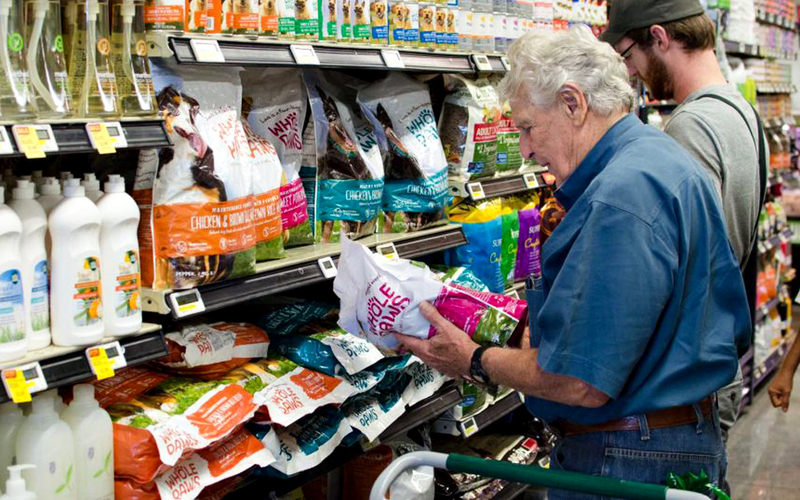 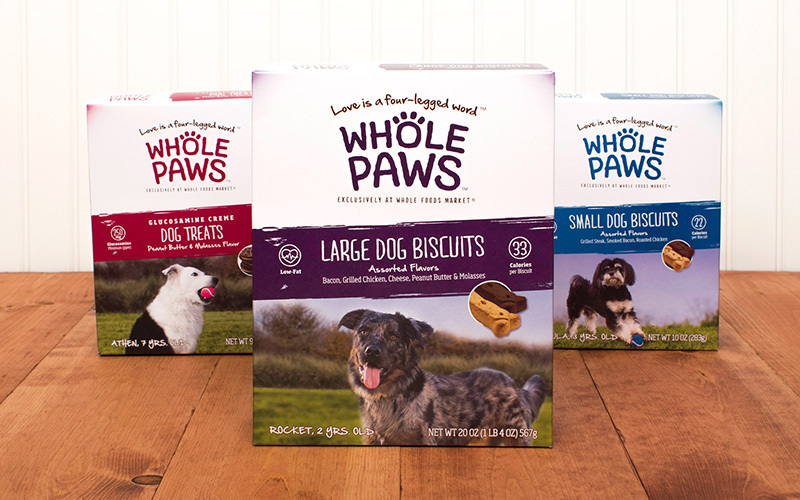 The product line has increased pet food sales 36% year-over-year and unit sales are up 13% year-over-year.